Are my credit card details safe and secure when I shop at RDX website? Click CONTACT US to get in touch with our friendly Customer Care service, or better yet, click on the “Live Chat” button to immediately get in touch with a Customer Care representative for detailed information. You can log in to your account to view or follow up on your order history. To look up your order status click here. Does RDX offer any guarantee for the purchases I make? We promise 100% satisfaction - guaranteed. If you are not satisfied with the product (for various reasons), you may return your purchase. Please review our Return/Refund policy. Is ordering online with RDX secure for me? We value our customers and your information is of the utmost concern, ensuring a safe and secure medium of transaction. The server that hosts our e-store encrypts the transmission of all credit card and personal customer information using the Internet-standard SSL (Secure Sockets Layer) protocol. During the encryption process, information is stored in small bits of code that cannot be read as they travel to us over the Internet. If you have additional questions about the security of ordering online, please feel free to e-mail us at info@rdxsports.com. Select a product you would like to purchase. Click the Add to Cart button from either the quick view or product detail page. You can then choose to continue shopping or go directly to Checkout. Once you are finished shopping, click on Shopping Cart and follow the prompts to check out. You will receive an email confirming your order that includes your order number. To view the contents of your cart, click on the Shopping Cart button at the top right corner of your screen. Once you click on that button, you can easily change the quantity of the item in your cart by updating the quantity listed and then clicking the Update Shopping Cart option. You can also delete any item added in your cart by clicking the Remove Button and then updating your cart with the Update Shopping Cart button. Find the item you want. Click the Add to Cart button to add the item to your cart. You can easily change the quantity you want to purchase of a particular item in your cart by updating the quantity listed and then clicking the Update Shopping Cart button. You can delete any item in your cart by clicking the Remove Button and then updating your cart with the Update Shopping Cart button. Click the Login link on the top right corner of our main page. Click "Edit Account" on the account panel and change your account information. Once the information has been edited click the "SUBMIT" button. When and how will I know that you have received my order? Once you’ve placed your order, a confirmation message is sent, which will contain your order number. You will receive an order confirmation via email with all of your order details. We encourage you to thoroughly review your order confirmation by paying close attention to your shipping address, phone number and delivery method. All orders placed before 2:00 PM GMT are processed and dispatched the same day. Once your order has been processed and shipped you will receive a confirmation email with tracking information. You can track the progress of your shipment by clicking on the tracking link provided in your confirmation email. Note: Tracking information to be updated on the shipping carrier's website may take up to 24 hours. My order includes an item that is out of stock. What happens then? Our website system is designed to ensure that stock levels are always accurate,and that products ordered are available. Unfortunately, there may sometimes be errors, and products which are available a tour website may occasionally be out of stock in our warehouse. We will notify you via email if an item that you have ordered is out of stock. Any unavailable items will be removed from your order total and will be reflected on your shipping invoice. I put in my credit card information and I got the message 'Problem during Credit Card Validation.' What do I do? Make sure you have entered your credit card information correctly. It should be numbers only, no dashes or spaces. Verify the address you have entered matches the billing address mentioned on your credit card account. Our goal is to provide the fastest possible service by processing orders right after you’ve placed them which makes it difficult for us to change [or cancel] your order. However, we're here for you and we'll do our very best to support your request. Contact us right away at +44 808 189 4444 or chat with us. Open your account panel and click “Return”. Fill up the form and submit the request. You’ll be contacted shortly. For any technical difficulties you are experiencing with our website, please CONTACT US. You can also SUBMIT an error report on our website attaching a screenshot of the error. If you have correctly entered all your information and are unable to complete the checkout process, we may need further information for our security check. Please call us toll-free at +44 808 189 4444 to verify your information so we can process your order. Your full name, shipping address, phone number, and contact email address. We accept PayPal®, Visa®, MasterCard®, Discover® and American Express®. Our servers encrypt all information submitted to them – meaning all your credit card information will be kept safe and secure with the utmost confidence. We were unable to contact you for verification of your payment information. Please make sure that you are available at the e-mail address and phone number you've provided. You did not select the appropriate shipping options. Your order was returned due to occurrence of any unexpected incident during transit. Your product(s) may have unexpectedly gone out of stock. In this case, we will notify you via email or phone before cancelling your order. To ensure you are totally satisfied with your purchase, RDX will not charge your credit card until your order has been shipped. Yes, for credit card verification you must enter your billing address exactly as it appears on your credit card statement. The charge will appear on your credit card as B2 Fitness. Do I get Reward Points for shopping with RDX? Yes! 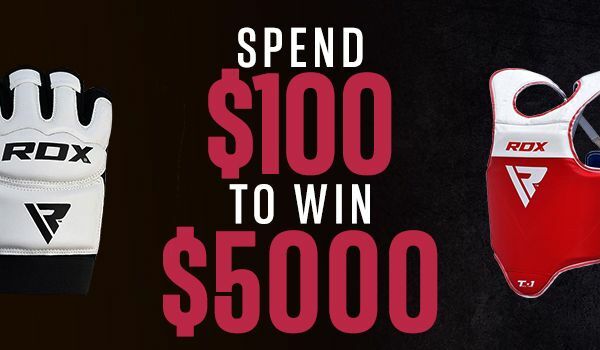 Click Here to learn more about RDX Reward Points Program. Are my purchases free to ship? Yes. All light items are eligible for free shipping worldwide. What is RDX International Shipping Policy? All light items are eligible for free shipping worldwide. International shipping charges and available service will vary based on package size, weight and country of destination. We ship "Heavy Items" to the following locations. Please note that there is no expedited service available for shipping of heavy items. Click here to track your order now. What shipping methods do you offer to Europe? Customers in the European Union are served by our warehouse in the United Kingdom and may be dispatched using DPD, Parcel-Force or Royal Mail standard shipping services. Depending on your location, estimated delivery is between five to seven working days. What shipping methods do you offer to USA, Canada and Mexico? We have a domestic warehouse located in Texas to ensure your order is shipped and delivered as quickly as possible. Shipping rates vary depending on the method selected and the warehouse location. We've partnered with multiple local and national couriers in the United States. Unfortunately, there may sometimes be errors, and products which are available a tour website may occasionally be out of stock in our domestic warehouse. In that case, we will notify you via email and any unavailable item will be sent from United Kingdom or removed from your order. How fast can you deliver my order? The delivery will vary based on shipping method chosen at checkout. For international orders the delivery time will differ based on the country of destination and carrier service. Please note that there is no expedited shipping service available for orders outside United Kingdom. How much will it cost me to ship my product? Shipping of Light Items is free worldwide. For heavy items, shipping charges and available service will vary based on package size, weight and country of destination. Please review our Shipping & Delivery Information page for more details. Are there any other costs related to shipping that I need to know about? RDX charges flat shipping rates and if there is any additional cost related to shipping, you’ll be informed before the order is processed. First check the RDX Shipping & Delivery Information for estimated shipping times to see if your package is late. If you feel that your order is taking much longer than it should, you've allowed a reasonable time for your local customs to look at your awesome RDX gear, and your local post office was not able to help, contact us and we'll work with you to find a solution. When contacting us, let us know your order number and the complete and correct delivery address. What's the deal with returns and exchange? Products can be swapped for a different size or color of the same product, provided that the preferred size or color is available. This option is available within 14 days of delivery. If the preferred size or color is not available, or you want a different product, please return the unwanted product and place a new order. It’s essential that any unwanted product, unless defective, is returned in a re-saleable condition. We’d expect this to mean that you’ve kept all original packaging and tags,and that the product is undamaged and unused. We reserve the right to decline a return or an exchange if products are returned damaged, or not in a sale-able condition. What is RDX return policy? We will process all return/exchange requests received within 14 days of the original purchase date. Items must be returned in original condition with tags still attached. After 14 days, a re-stocking fee of 20% will be charged on every item returned. We reserve the right to decline a return or an exchange if products are returned damaged, or not in a sale-able condition. Some restrictions may apply. What is RDX refund policy? If you are not 100% satisfied with your purchase, you can return your order for a full refund. You can return your purchase for up to 14 days from the purchase date. Returned products must be in the condition you received them and in the original box and/or packaging. We do not refund express delivery cost if you are only returning one product from an order with multiple items. If you're returning an item that was damaged/defective or has any workmanship error, RDX will refund the cost of the item as well as the delivery charges incurred in sending it to you. If you return an item because you no longer need it, we’ll refund only the item cost. Under what conditions am I eligible to claim warranty? 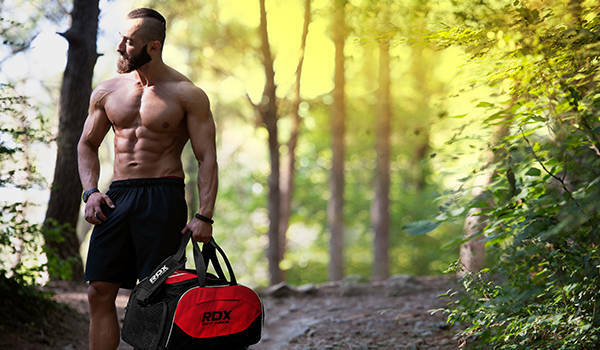 RDX stands behind all of its products. If your product has a functionality or material defect, support is available depending on the product condition for return/exchange and claimed under 14 days of purchase. Use of our products in a manner other than that for which they were manufactured voids the warranty. If my item breaks, where will I have to send it? Please CONTACT our Customer Care if you’re experiencing such situation and we’ll provide our best support in response to your request. Our return address is 158 Hornby Street, Bury, BL9 5BB, United Kingdom. Please note that there is no expedited shipping service available for orders outside United Kingdom. Is there special shipping for large items? Please click here to see the shipping locations and estimated shipping costs for heavy items. Open your account panel and click Return. Fill up the form and submit the request. You’ll be contacted shortly. If your product has a workmanship or material defect, support is available depending on the product condition for return/exchange and claimed under 30 days of purchase. Please contact customer care for more details. Does RDX reimburse the return shipping costs if I send an order back? If you're returning an item that was damaged/defective or has any workmanship error, you can request RDX to reimburse the return shipping charges you incurred. In such cases, we have the right to ask you to provide the courier receipt. If you return an item because you no longer need it, RDX is not required to refund the return shipping costs.